University of Guyana’s Vice-Chancellor, Professor Ivelaw Griffith. As Guyana’s economy continues to evolve, the University of Guyana (UG) is taking steps to keep abreast with the changes and is introducing programmes to equip persons for the job market. The latest course to be added to the institution’s curriculum is a Bachelor of Science (BSc) in Food Science. Acquiring a Degree in Food Science presents endless job opportunities. This declaration was made by Head of the Department of Chemistry of the Faculty of Natural Science, Samantha Joseph at today’s symposium to launch the new course of study, at the Turkeyen Campus. Joseph said job opportunities in the field of Food Science are not limited to the Caribbean but are also available internationally. “This degree is so multifaceted, you can have employment within the food industry, you can have employment in academia, you can have employment in research institutions, you can have employment at institutions where you have the processing of raw materials, it is endless,” Joseph elaborated. Stakeholders at the launch of the Bachelor of Science in Food Science. Dr. Gordon-Campbell called upon the various stakeholders to begin preparing their strategies to absorb and deploy the wealth of skills that will be unleashed in the next four years. However, she also cautioned in these preparations, the most vulnerable population must not be forgotten. Emphasising that fact that a person’s environment should not determine how healthy they are Dr. Gordon-Campbell called for qualified persons to be deployed countrywide. 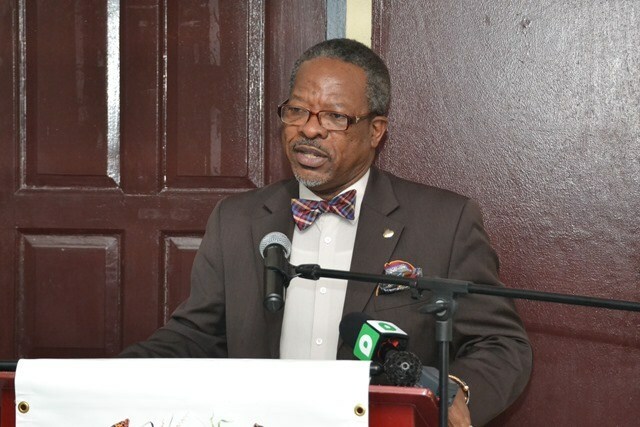 UG’s Vice-Chancellor (VC) Professor Ivelaw Griffith noted the programme will address the issue of food security. “It is a challenge that universities also have to contend with and help on the instructional side. Courses that you might teach, not only degree programmes and we will be offering through the Institute of Food and Nutrition Security, short courses. Everybody does not need a whole degree, some people need a one-week course, on a particular aspect that is pertaining to your realm of engagement, some people may need a month or a two-month course, we will be looking at a range of offerings on the instructional side to enable us as university with enabling the society to contend with this problem” the Vice-Chancellor underscored.